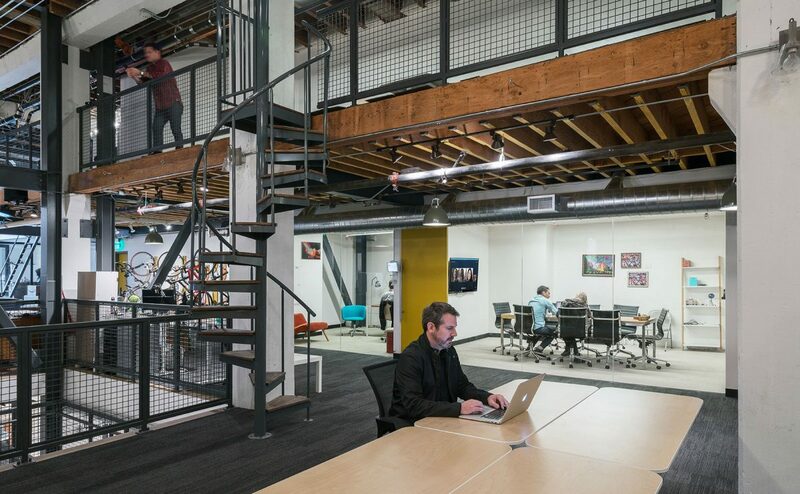 Flexible design to accelerate & enable the new Bio-Economy. 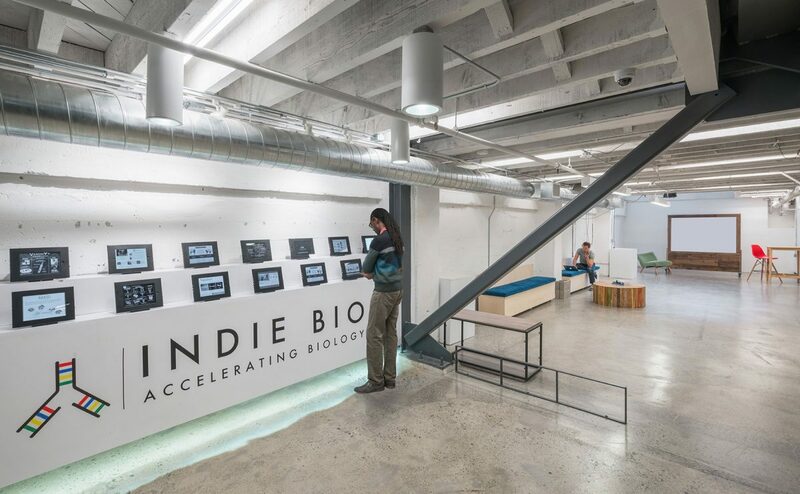 With a mission to accelerate innovative bio-technologies to the market, IndieBio created an environment to stimulate scientific collaboration, enhance business outcomes and incubate revolutionary ideas aimed at addressing modern problems of scale. 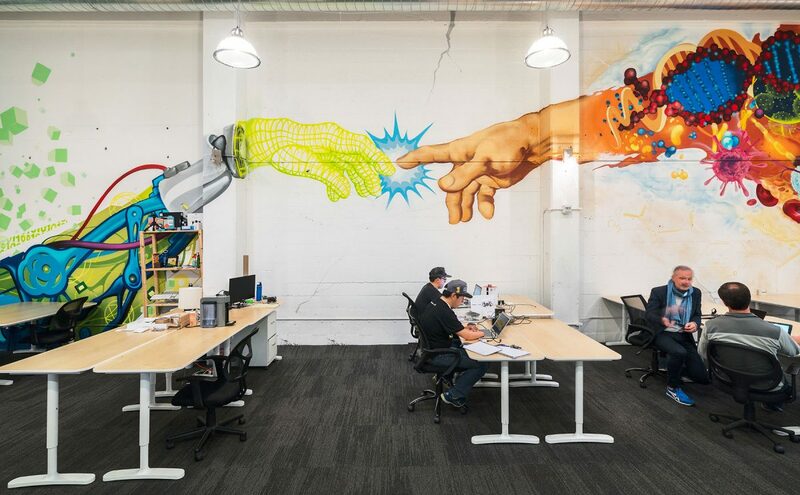 When IndieBio sought space to setup shop in San Francisco, the search led them to lease a 15,000 square foot space two levels including the ground floor and basement in the South-of-Market area. 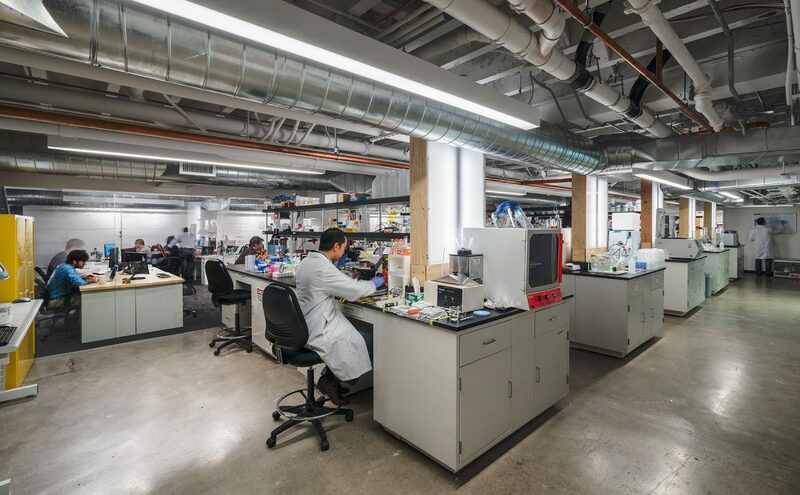 Their desire to locate the laboratory space in the basement was both strategic and challenging. 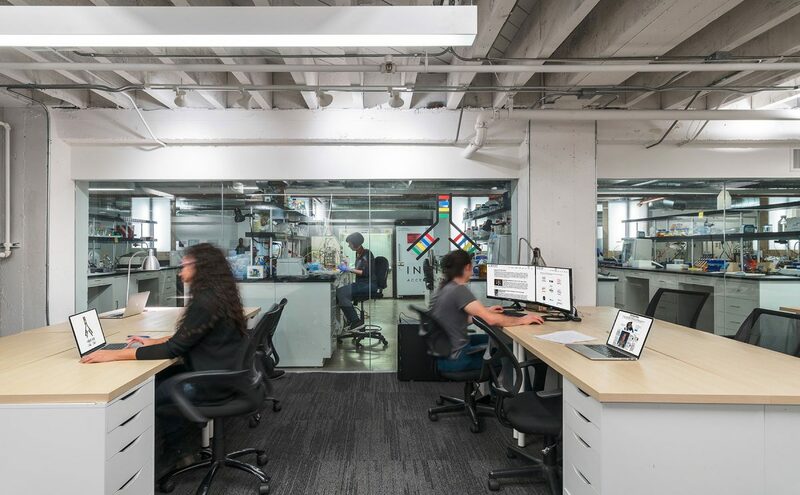 RMW’s design team worked closely with IndieBio to program, plan and design a robust, efficient and modular lab environment to support the company’s goals. 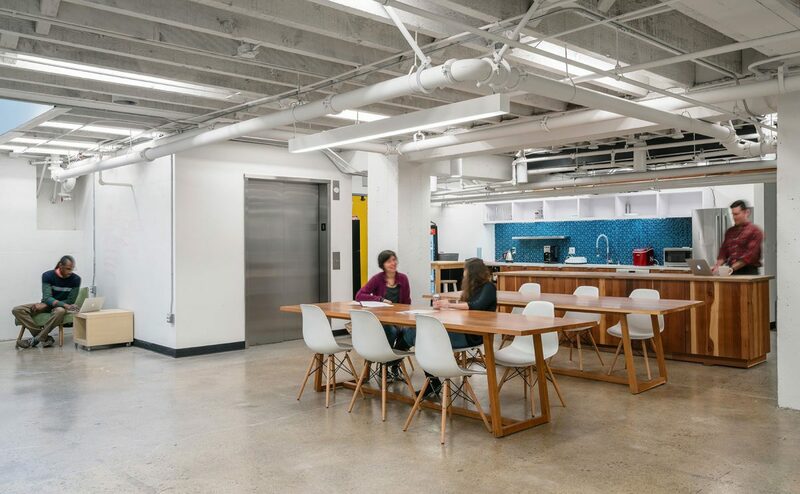 The design solution created open work areas adjacent to the labs with collaboration and break rooms neighboring laboratory space. 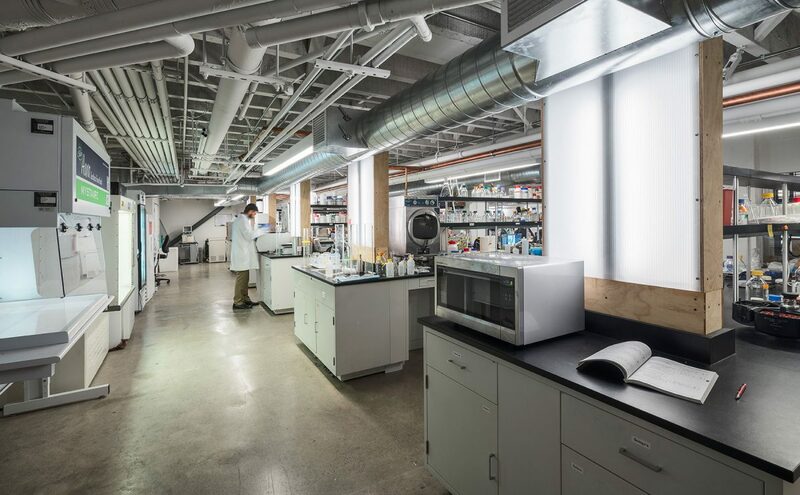 The design included an open wet laboratory environment located next to a smaller Bio-Safety Level 2 lab. 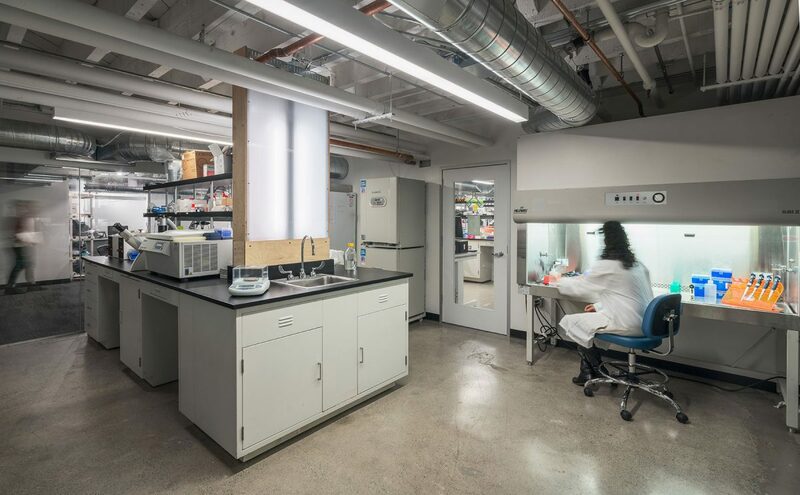 Lab features: BSL-1 for Open Flexible Wet Lab Space, BSL-2 for Tissue Culture Room.